Should you wish for a case as unique as your watch, choose to customize it with a text engraving; we guarantee you an end-product that will leave you speechless with admiration. All luxury watch lovers like switching between their precious watches to match their outfit or merely on a whim. 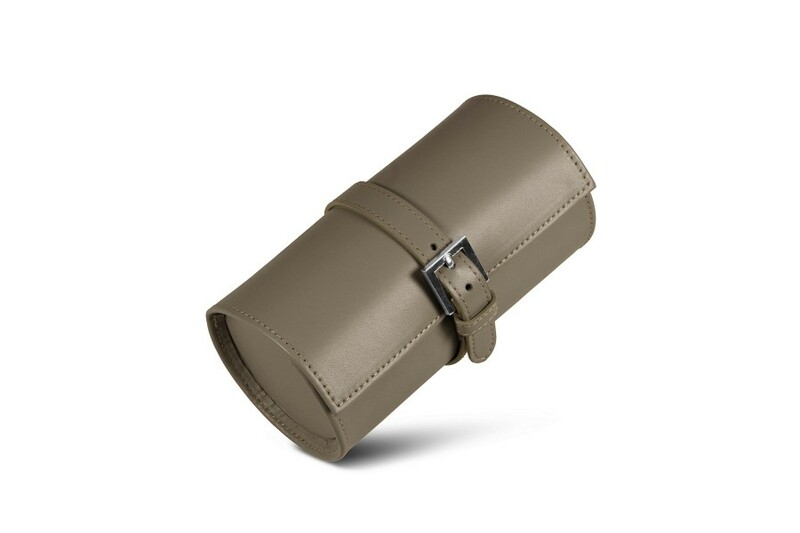 This gorgeous leather watch roll has been designed to let you have your coveted time devices within hand-reach during your travels. 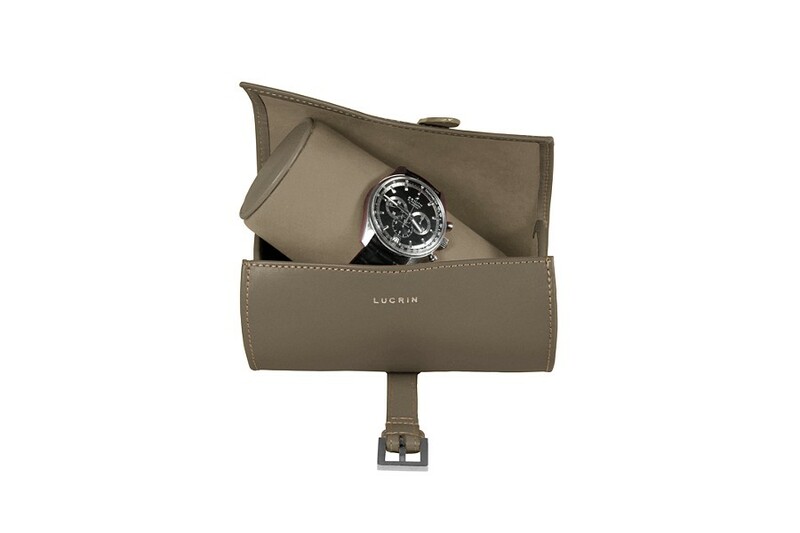 Safely store up to 3 watches by strapping them around the round cushion found inside. 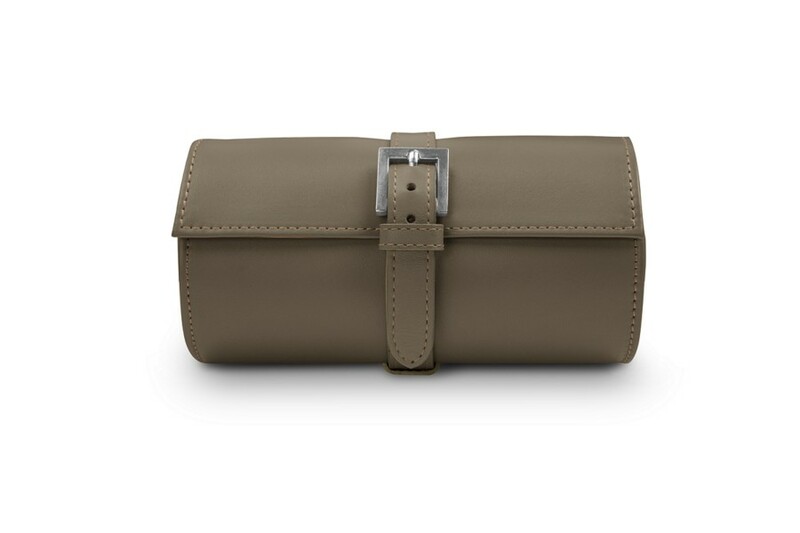 For additional protection, the case's interior has been expertly lined in microfibre; the whole is securely held together by a silvery buckle.